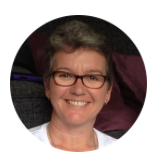 Louise is a qualified and experienced HR Management professional, Business Consultant and Resume Writer and is a certified member of the Australian Human Resources Institute (AHRI). She has held senior positions in State/Territory Government, non-profit organisations, religious institutions and private industry across a range of sectors. Louise holds a bachelor degree, several diplomas and is the CEO of Assured Business Consulting and Synergy Professional Coaching. She is our chief writer and coach. Winning Resumes Australia makes you stand out in the job market with a professional and custom designed resume and cover letter that put YOU in the spotlight. Do you want a professional resume that attracts the eye of an experienced recruiter? Do you struggle with trying to ‘sell yourself’ and your abilities? Do you need help with your job application form? Do you want a resume or CV that can ‘speak the language’ of your chosen industry or field? Do you want to get noticed even when there are hundreds of job applicants? I can help you. I have been researching and writing for a living for over twenty years. I’m a great writer, but not only that, I’m a qualified Human Resources Management professional who has hired hundreds of people in various industries across Australia. That means I’ve read thousands of job applications and resumes and only selected the best. So, I know what a recruiter wants to see in an application and I know how to make you shine. Don’t risk your future by getting a cheap resume that is completed off-shore and is then checked for mistakes by proof readers. Get a professional resume by a professional writer – get yourself a winning resume!